DAVID LE/Staff photo. 3/14/15. 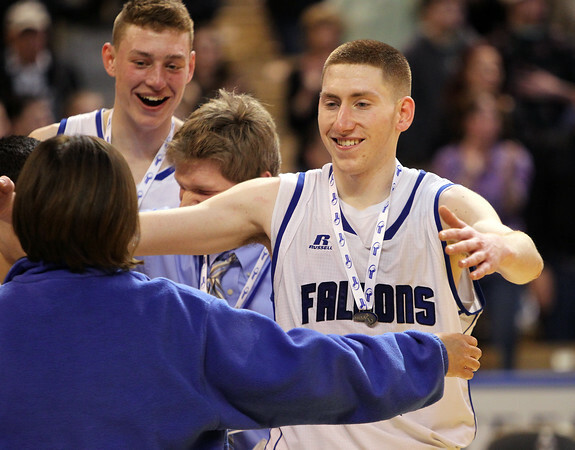 Danvers senior captain Vinny Clifford gets a hug from Danvers High School Principal Susan Ambrozavitch after the Falcons captured the D2 State Championship with a 52-49 win over Marlboro at the DCU Center in Worcester on Saturday afternoon for their third state title in four years under head coach John Walsh.